Want to join a global recruitment network? Are you running a small or medium sized recruitment company? Alone without any local or global peers? Do you have clients with hiring needs outside your own area? Then NPAworldwide could be right for you. NPAworldwide was founded in 1956 in US as an alternative to franchise organizations. NPAworldwide is a members owned network with focus on doing business together and increasing the service level to existing clients. NPAworldwide has approximately 500 members around the world today – in 6 continents. And their target is growth, bringing small an mid sized recruitment firms on board. 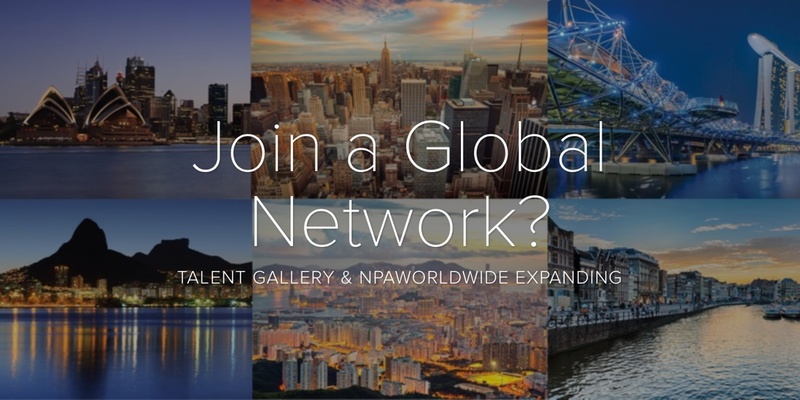 Talent Gallery joined NPAworldwide in 2014. Our companies in Belgium, Germany and Norway are all members. All three were previously franchisees in MRINetwork. “The difference is that NPAworldwide charge you only for the business made within the organization and not on all revenue as with a franchise organization,” says Trond Larsen, owner of Talent Gallery – Scandinavian Search Group. “Our first 16 months in NPAworldwide has been a success and added significant revenue to our business,” says Trond Larsen. Talent Gallery – Scandinavian Search Group was the number 1 firm in EMEA last year. If you want to know more about the potential within NPAworldwide, feel free to contact Trond Larsen on e-mail tl@talent-gallery.no. NPAworldwide is looking for new members in the Nordic area – Norway, Sweden, Finland, Denmark and Iceland, the Baltics and throughout EMEA.